CYBR: Blockchain Security Revolution - Hello everyone, loyal customers of the article cryptocoinnews.id. It's been a long time too, apparently I didn't update the information because there were indeed some activities outside. Well, now I am present with new information and we will discuss it together. Before heading to the discussion we certainly agreed about bitcoin and other cryptocurrency that stood on blockchain technology is truly an extraordinary finding and in recent years has given color to technological developments especially in the financial sector. But behind the success of this technology, there are still irresponsible parties who take profits for themselves and really hurt people too much to make market capitalization and the price of the cryptocurrency dropped dramatically. The latest information obtained was a major theft of the Japanese trading platform which lost up to 58 million USD and made a drastic drop in prices and market capitalization and public confidence. But this certainly does not break the spirit of loyal cryptocurrency fans. They still have a lot to survive, and right on this day little by little cryptocurrency market capitalization began to increase again. Talking about security in terms of blockchain technology, we certainly agree that it is very safe, except that every time there is theft and burglary the security system is actually on a stolen platform. This time I will introduce and invite you to discuss a project with a product security system for cryptocurrency. They call themselves CYBR. What are they like and how are they? see the review below. CYBR is a security ecosystem that will revolutionize security on the blockchain. They will provide smart and secure transaction services on a portal that will guarantee real time protection, information and anticipation when you are a threat to the CYBR community, and several other cryptocgraphic sites and exchanges provided for trading by focusing on security solutions in cyberspace. The CYBR ecosystem operates and is supported by Blindspot where the CYBR security mechanism will always identify and block any dangerous participants who are proven to carry out illegal acts that endanger the community. Simply put, they provide solutions to intellectual threats that arise from data transformation activities. CYBR also provides a web portal where users can use to make smart transactions. Many of the features that you can use on the portal include warnings of threats, checking of website addresses, sending and receiving tokens, blindspot downloads and support, FAQs, and access to the CYBR database regarding known and frequently emerging threats. This portal will later provide security guarantees and threats to threats in real time. 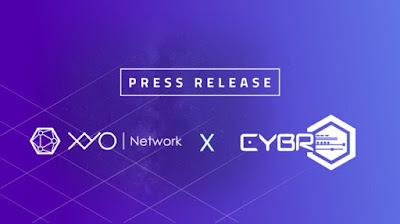 In addition, CYBR also cooperates with a company called XYO Network. They collaborate on their respective products in order to provide perfect service. 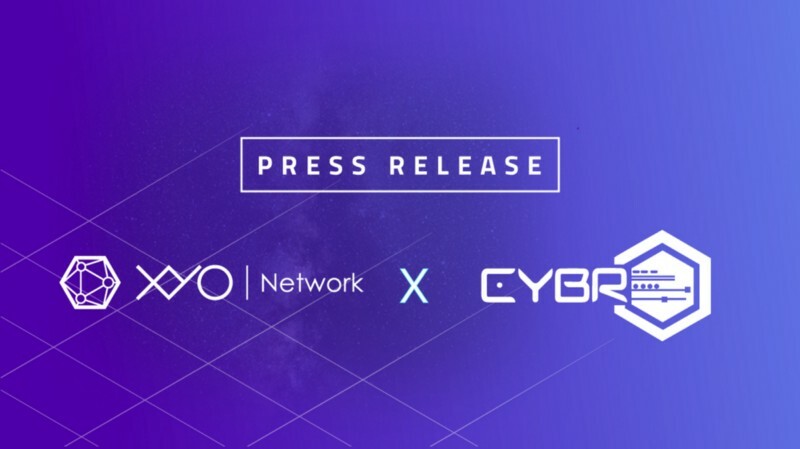 Where XYO Network has a product in the form of technology that builds a human-powered location network above blockchain technology. This XYO Network can present data on relative location, distance between moving objects and much more with more than 1 million of their applications spread throughout the world. The XYO Network has also empowered driving seifers, drones and many others for operational purposes. So when these two companies collaborate, they will certainly provide safe transaction services and can connect blockchain technology to transactions in the real world. Furthermore, CYBR recently released in November 2018 Solidoc. Solidoc is a utility that provides markdown-based documentation for your project and will be combined automatically with CYBR contract audit services. They will freeze smart contracts that "fail safe" after going through the audit process and are indicated to experience assault and theft. So that hackers cannot steal the funds that are in the smart contract and certainly secure your project and your investors. This is honestly a brilliant idea. From the information above alone, it can provide convincing strength that CYBR is indeed serious in working on this project. But what do you think personally? 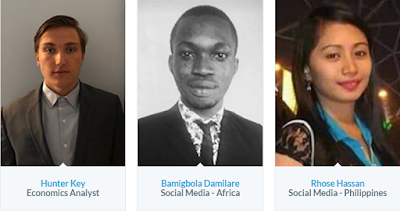 do they deserve the support of the cryptocurrency community? We can discuss it in the comments column if you wish. The next is information about the details of the ICO, token distribution, and the team behind the CYBR project. Such is the information from me regarding this CYBR project. For those of you who are interested in buying their tokens, immediately buy it because the time will soon be finished and they have succeeded in collecting their soft cap, which means the project will continue to the realization of the project. For those of you who need more references about this project can visit the link below. May be useful.